Hi, I’m ayahence, and this is my account. I live in Indonesia. I was born in this country. I am a graphic designer at the biggest wedding invitation company in Indonesia. I’m happiest when I’m create the big history for your company. I love design. Design is my Passion. Art is my soul. "Excelente trabajo y muy buen trato. " "I worked with Ayahence on a logo design project. The project was to repurpose a very outdated logo. Ayahence took my comments very well and delivered something that we feel is perfect for kickstarting our updated brand!" "Thank you for your high quality work. We will contact you if and when we need any additional graphic design." 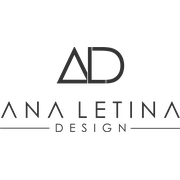 "Ayahence worked with us to create the new logo for our Interior Design practise. The work was on brief and comes with the desired twist to give us a logo we can be proud to use for many years to come. It was a pleasure to deal with Ayahence!" "Ayahence did a very good job. She adjust every thing I asked of here promptly and to my liking. I would gladly do business with here again on my next projects, her creative mind was a bit more detailed thanot the rest. Good job Ayahence thank you. " "Highly recommended! 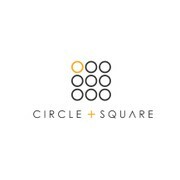 The designer is very talented, creating a beautiful and original logo. Ayahence was very responsive to communication and was always patient, incorporating feedback and providing a number of variations for review. I would definitely..."